Announcement for clear faceted glass jewels!! 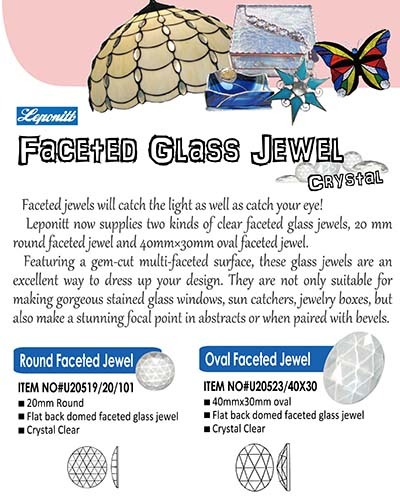 We are launching two kinds of clear faceted glass jewels, 20mm round faceted jewel and 40mm×30mm oval faceted jewel. Faceted jewels will catch the light as well as catch your eyes! These glass jewels are an excellent way to dress up your design. They are not only suitable for making gorgeous stained glass works, but also making a stunning focal point in abstracts or when prepared with bevels. 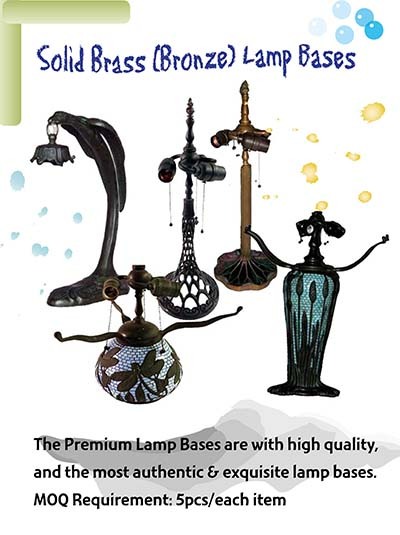 Leponitt premium lamp bases-Solid Brass Lamp Bases!! Leponitt Horseshoe nails for lead work & panel work use!! 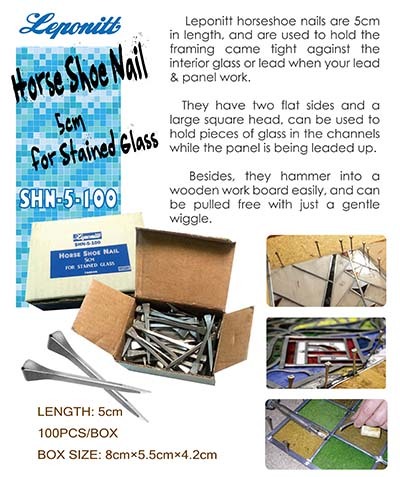 Our horseshoe nails are 5cm in length, and have two flat sides and large head. Which can help you hold pieces of glass in the channels while the panel is being leaded up. Everyone can hammer them easily to wooden board while work, and pull them with just a gentle wiggle.